Cecily Brown, Can Can,1998. Oil on Canvas. 192.7 x 248.9cm. Courtesy of the artist. Cecily Brown, Suddenly Last Summer, signed, titled and dated 1999 on the reverse. Oil on canvas. 100 by 110 1/4 in. 254 by 280 cm. Courtesy of Sotheby’s. Cecily Brown, The Skin Of Our Teeth, 1999. Oil on linen, 60.24 in. (153.00 cm.) (height) by 75.00 in. (190.50 cm.) (width). Courtesy of Sotheby’s. 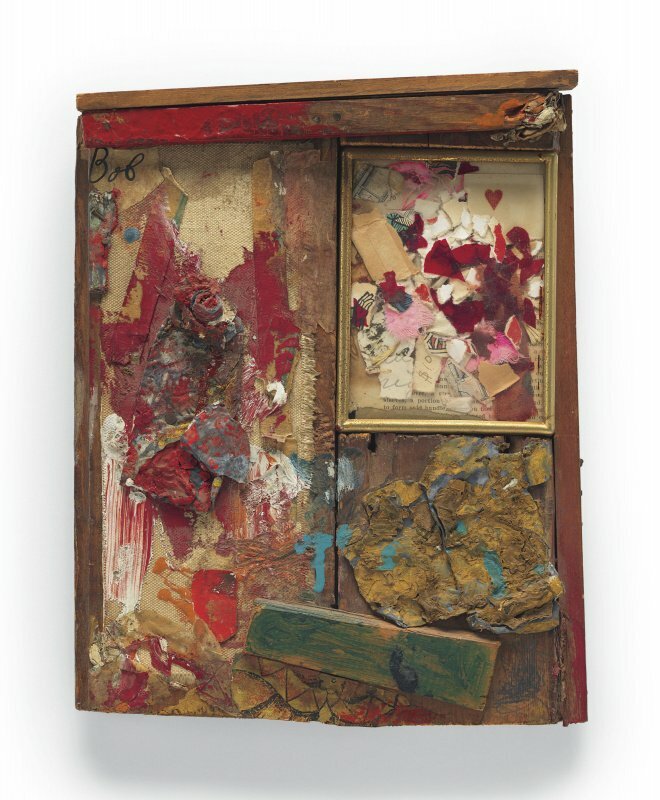 Robert Rauschenberg (1925-2008), Untitled, signed ‘RAUSCHENBERG’ (on the reverse), combine—oil, wood, fabric, printed paper, paper, acetate, paint tubes, glass and graphite on canvas and wood, 10 1/8 x 7 7/8 x 1 1/2 in. (25.6 x 20.1 x 3.9 cm.) Executed in 1954. KAWS, Clean Slate. Fiberglass, metal structure and paint base, 19 5/8 x 216 1/2 x 216 1/2 in. (49.8 x 549.9 x 549.9 cm. ), sculpture 275 5/8 x 216 x 216 in. (700.1 x 548.6 x 548.6 cm.) , overall 295 1/4 x 216 1/2 x 216 1/2 in. (749.9 x 549.9 x 549.9 cm.) Executed in 2014, this work is 1 of 3 unique color variants. Cecily Brown, Robert Rauschenberg and KAWS head the market hype for this Autumn Sales. Here we feature the upcoming lots that are poised to break their auction records, despite the recent uncertainty in the art market and some bleak global economic forecasts. The art market is a strange kind of flower. It is not in spring that it blooms, but rather in fall. In September, the galleries open with some of their strongest shows of the year. In October and November, a number of fairs take place in the major global cities. Most importantly, the season is marked by the auction houses’ Autumn Sales in mid-November. The effects of these sales not only dictate the tone for Art Basel Miami Beach, happening just a few weeks later, but also provide compelling market indicators for 2019. In a time of uncertainty in the art market and amid gloomy global economic forecasts, the auction world is still able to excite collectors of all stripes. In the intense, richly varied sales dynamic, there are indeed some artists whose popularity is rapidly rising. Other than David Hockney’s much talked about Portrait of an Artist (Pool with Two Figures) (1972), at the moment the market is paying close attention to Cecily Brown, Robert Rauschenberg and KAWS, who are all expected to break their auction records at this Autumn Sales. Three pieces in particular might bring new lifeblood to the market: Cecily Brown’s Can Can (1998), which will be part of Christie’s “Post-War and Contemporary Art Afternoon Session” in New York on 16 November 2018; Robert Rauschenberg’s, Untitled (1958), which will be presented at “An American Place: The Barney A. Ebsworth Collection” by Christie’s on 13 November; and KAWS’ Clean Slate (2014), at the Phillips’ 20th Century & Contemporary Art Evening Sale in New York, on 15 November 2018. 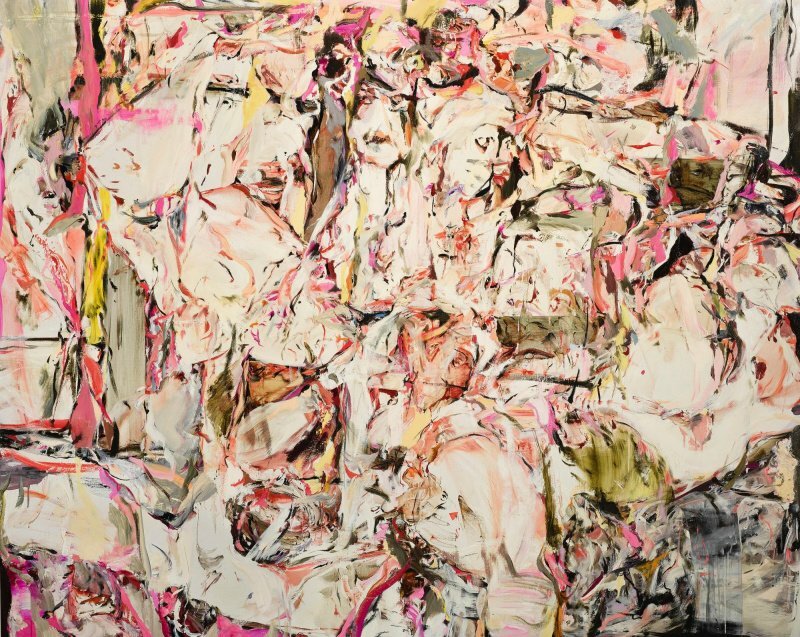 Cecily Brown is one of the most innovative artists to drive painting’s revival in the 1990s. She was able to marry abstraction and figuration to create suggestive, sensuous tableaux. By reinvestigating one of the most traditional artistic media, Brown puts herself in conversation with artists from the past and present, from Titian, Bruegel, Delacroix, through to the Abstract Expressionists. Her paintings, which are usually executed on similarly large-scaled canvases, carry a kindred sense of vigorous energy and rhythm. The artist’s engagement in the feminist debate is another element that imbues her work with historical significance. Painted in 1998, the cover-lot of Christie’s Afternoon sales this November, Can Can, presents luscious figures with an ambiguous anatomy, typical of the artist. The canvas is realized in evocative brushwork and is at the edge of abstract and figurative painting. The size of this oil is 192.7 x 248.9cm, making an ideal purchase for collectors. Can Can enjoyed great success since the very first time it was exhibited at Brown’s solo show, “High Society” at Deith Projects (NY) in 1998. The work was sold to its previous owner after the show and finally brought to Asia by Christie’s for private sale, during which period it shared walls with an array of masters, including Picasso, Andy Warhol, De Kooning, Gerhard Richter, Richard Prince, etc. The fact that Can Can is a cover lot – meaning it was displayed on the cover of the auction catalogue – is a clear sign that this is the artwork that the house believes will generate the most excitement at auction. Market experts are anticipating a new auction record for Brown with Can Can , considering that prices for the works of the London-born, New York-based Cecily Brown have been rising rapidly. Her auction records have trebled this year, propelled from under USD1 million just over one and a half years ago to USD2 million 12 months ago, then USD4 million, before rapidly reaching the USD6 million threshold. 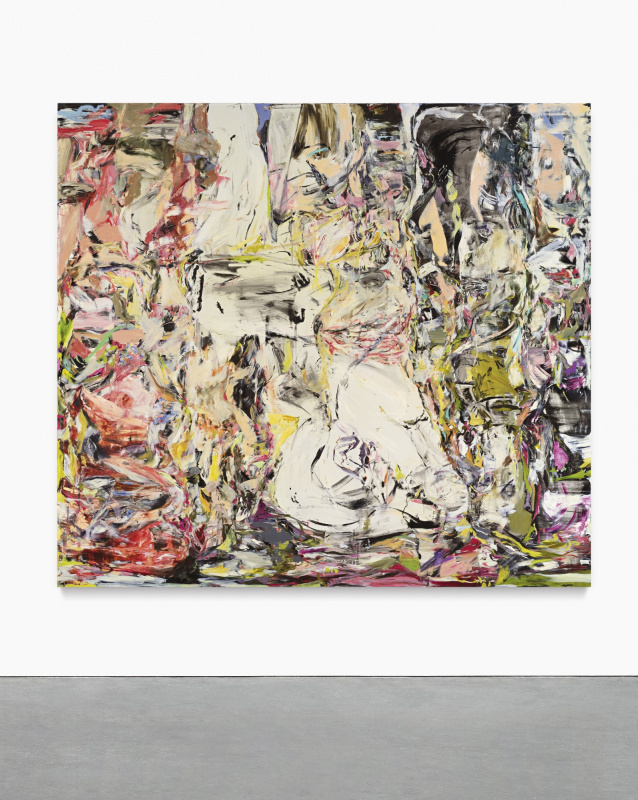 More precisely, the last Sotheby’s New York May sale, Cecily Brown’s Suddenly Last Summer, was hammered for USD6,776,200, while at Sotheby’s London June Contemporary Art Evening Auction, The Skin of our Teeth, a 1999 work, was sold for USD3,986,277. As may be clearly seen, her pieces from the 1990s are those that have been most highly sought-after. 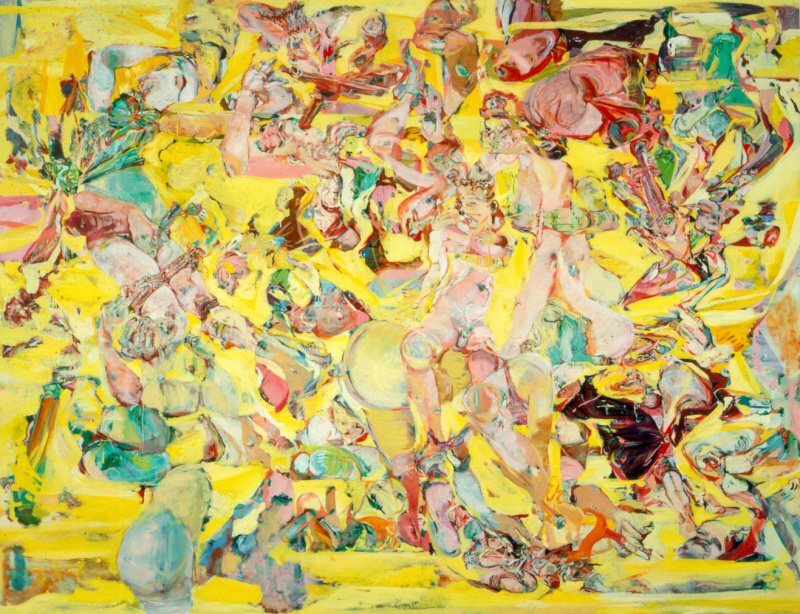 Several market factors favour Cecily Brown’s work; today she is not only within the purview of Western collectors, but she also managed to break the Asian market. Last year an Asian collector decided to buy one of her pieces, indicating a new openness and sensitivity in Asia towards a certain kind of contemporary art. Being one of the most prominent members of the American Post-War avant-garde, Robert Rauschenberg needs no introduction. Famous for his sculpture/painting hybrids known as Combines, the artist broke through the two dimensionality of the canvas at a time when Abstract Expressionist painting dominated the scene. Virtually eliminating all distinctions between artistic categories, the Combines may either hang on the wall or be freestanding. Rauschenberg’s market has been rising in the last few years. In March 2017, Transom (1963), a seminal work of Robert Rauschenberg, was sold at the Christie’s Post-War and Contemporary Art Evening Auction in London for USD5,676,190 (with buyer’s premium) to an Asian collector. However, it is an Untitled piece from 1954 that will be the one to watch at the upcoming Christie’s auction. This is a combine of oil, wood, fabric, printed paper, paper, acetate, paint tubes, glass and graphite on canvas and wood. The “Untitled” piece toured a number of museums and institutions around the world for shows, and was also a centerpiece in premium collections. Portland-based collector John Goodwin acquired it directly from the artist in 1955, and it was sold again by Sotheby’s in 1980. After a few other moves from Vancouver to New York, in 1996 it ended up in the collection of Richard and Francine Shapiro in Los Angeles, and was sold by Christie’s to finally become part of the Barney A. Ebsworth Collection. This piece, along with the astounding collection, will be offered at a dedicated evening sale on 13 November and a day sale on 14 November called “An American Place: The Barney A. Ebsworth Collection” as a highlight of its flagship 20th Century Week in New York. The experts are speculating that this Untitled piece might set a possible new record for Robert Rauschenberg. Brian Donnelly, aka KAWS, has been crowned the new prince of the art market. It is no surprise that he is particularly loved by Asian collectors, given the fact that his global market started and expanded from Asia, thanks to some early Tokyo street art connections. Starting off as a graffiti artist, KAWS quickly climbed the ladder to art galleries worldwide. Selling his creations firstly in the shop circuit, he quickly went into managing his own production independently. 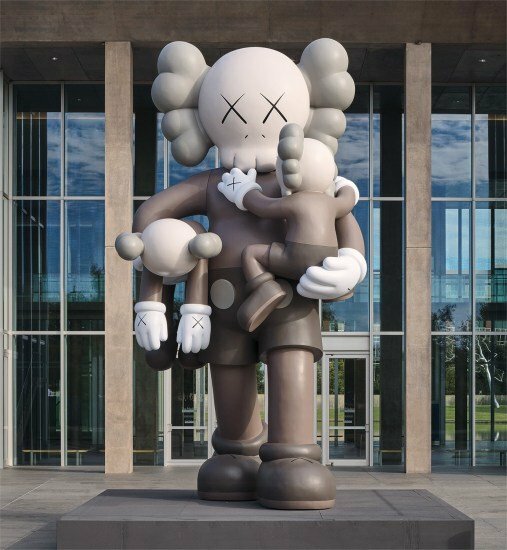 Collaborating with brands and museums alike, today KAWS is known as one of the most social media savvy artists of the day; he is perhaps the best marketer of his own art. His strategy is based on employing social media to reach a massive audience, as well as the heart (and pocket) of the privileged few who are willing to spend large amounts of money on his work. KAWS’ popularity is coincident with the rise of a younger generation of collectors who are gravitating to street and urban art, since it represents what they grew up with and their specific culture. They are captivated by the way in which KAWS has irrevocably changed the relationship between fine art and pop culture. His method of repeating iconic imagery is an attempt to make works universally comprehensible, to transcend both language and culture. His paintings, prints and sculptures have been compared to those of Takashi Murakami and Jeff Koons. It is no wonder that his pieces have been incredibly successful at the auctions. His market breakthrough came with the sale of “Keep Moving” from 2012, which was offered by Phillips London during their 20th Century & Contemporary Art Day Sale. The work had an upper estimated price of USD354,418 but reached a hammer price of USD1,063,256. For this Autumn sales the opportunity to acquire one of the best KAWS pieces comes with Clean Slate, a giant fiberglass, metal structure and paint sculpture, executed in 2014. The cartoonish figure is captured midstride, holding two smaller, cloned child-like versions of itself in its arms as it moves forward with resolution and confidence. The piece was already exhibited in a number of locations around the world, including the Ocean Terminal Forecourt of Harbour City in Hong Kong in 2014, in Shanghai Times Square in 2015, and Ibiza at La Nave Salinas. Since its unveiling in Hong Kong as one of KAWS’ largest public sculptures, Clean Slate has taken a prominent position as the artist’s most recognizable figure. We are finally getting closer and closer to the Autumn auction season. It is to be noted that these artists from varied sectors of the art world, espousing different traditions and viewpoints on art, are certainly to be watched not only for this auction season, but in the years to come. However, while Cecily Brown, Robert Rauschenberg and KAWS might represent almost opposite tendencies and discourses, they have something in common. It is this commonality which is perhaps so intriguing to collectors, who are open to paying huge amounts of money to own their output. The common feature is the capacity of these artists to encapsulate in every single work the spirit of the times. And while we acknowledge that the prices these works make in auctions are outstanding, the mark their work will leave in history is perhaps far greater.